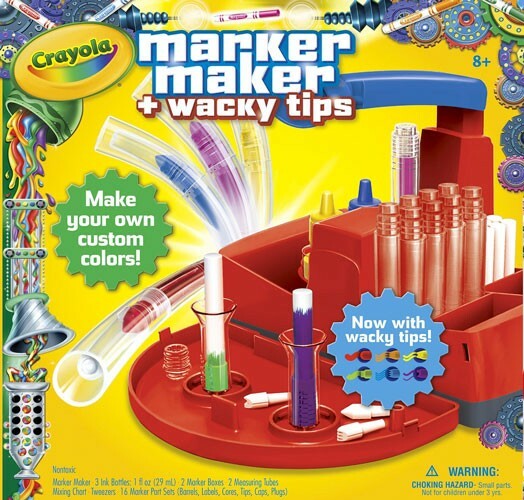 Experiment with color by making your own custom markers using the Crayola Marker Maker. Create up to 16 markers with Wacky Tips that change the way color lays down on the paper -- or, you can buy refill ink kits to use when the original set has been used, so the creativity can continue! 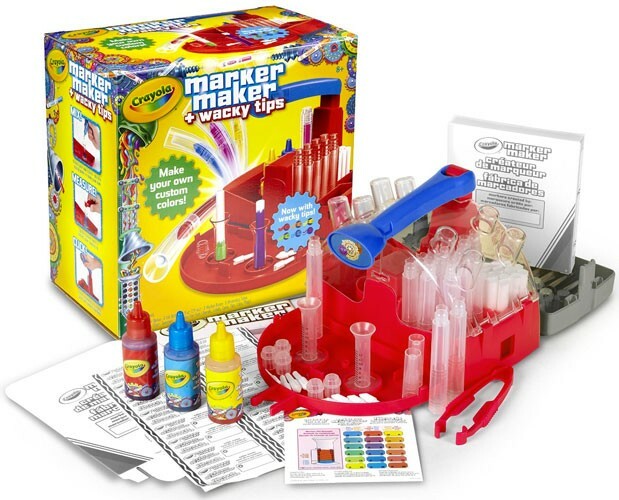 This interactive kit has everything you need to get started, including three ink bottles, two marker boxes, two measuring tubes, a mixing chart, tweezers, and enough parts to make 16 one-of-a-kind markers. 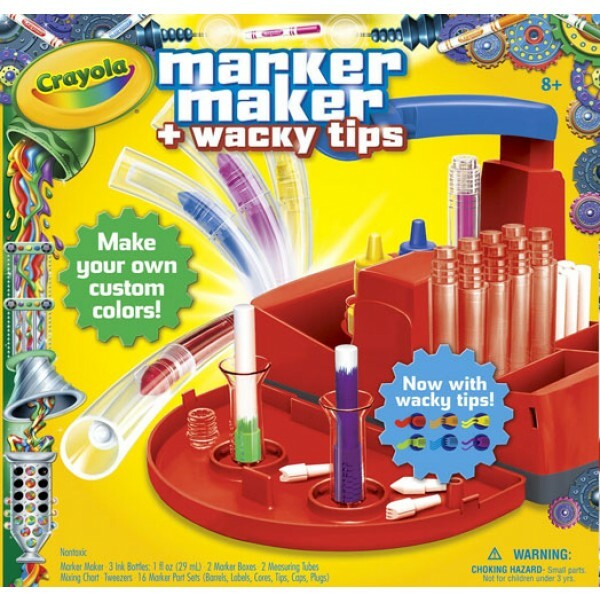 Kids will enjoy making their own marker colors and trying out their colorful creations.